I’m very excited to be joining such a progressive agency. 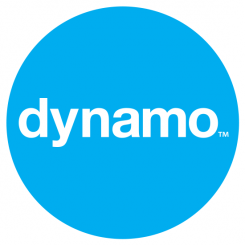 Dynamo recognises the benefits of effectively integrating search engine optimisation (SEO), content creation, PR and social media. Through drawing these disciplines together we are able to maximise results and achieve cost and productivity efficiencies that would otherwise be missed or under leveraged. It is clear that good PR will naturally contribute to SEO however, over the last 2.5 years specialising in SEO PR I have seen evidence that sharing skills and tools between the PR and SEO industry improves results both individually and cumulatively. SEO provides PR with greater insights and evidence about which specific media and content types will generate the desired influence online. It can also help show the value of PR work beyond the limitation of traditional AVE metrics. Good content can be like gold dust for web rankings, earning back links for websites from authoritative domains such as media sites as well as providing traditional PR value. Hence the mantra ‘Content is King’ echoed through the SEO industry last year and is destined to continue throughout this year. The skill base of PR’s allows them to be exceptional onsite content designers whilst also having the techniques, knowledge and contacts to promote it well online. For many years the worlds of public relations and SEO have worked to a large degree in silo. The days of gaming Google to gain wins in rankings are gone, rankings now need to be earned. The last few algorithm updates have made it clear that SEO and PR operating in a desperate manner will no longer produce the best results for clients. Being on the first Google results page for key terms can provide a huge competitive advantage to any company. Of the non-technical elements of SEO many of the key factors that now appear to influence Search results can be done through or as a part of smart online PR. In light of the current state and trajectory of the Google ranking algorithm every PR professional should be considering how their work could contribute to improving their clients SERPS.